A snow storm moved in last night to give us a beautiful blanket of white to start off the new year. 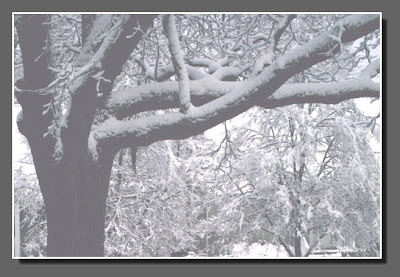 This is the tree scene out our front door. Aside from a bit of snow shoveling, it’s a lazy day, watching the Rose Parade on TV. Hope this day is the start of a wonderful new year for you all!! I’m so happy to see you’re here! Hope you have a terrific new year!